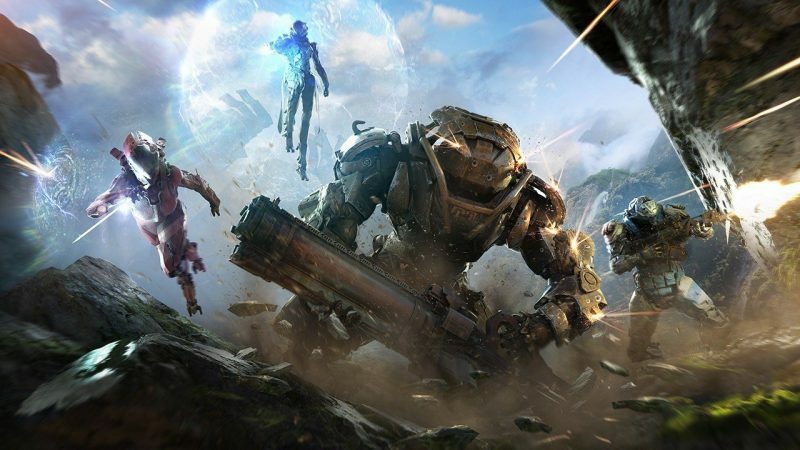 Bioware has definitely put on a good showing so far with its new IP: Anthem. 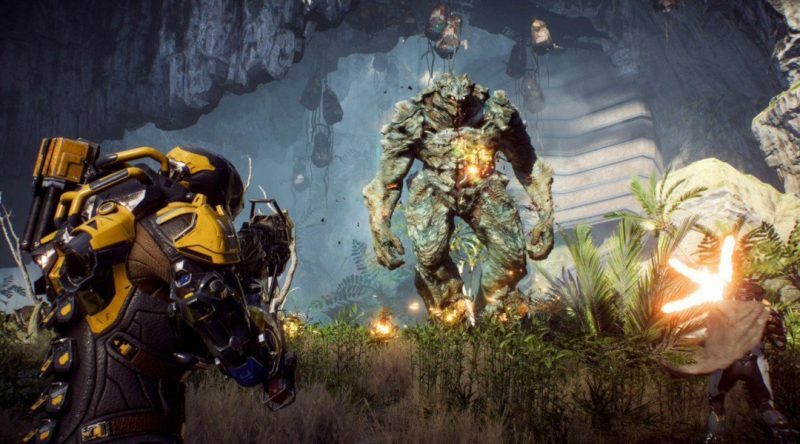 Anthem is an open world loot shooter that centers around a dangerous world and the people living in it. As a pilot, you are tasked with exploring this world to find the danger and remove it. Luckily, you have access to powerful exosuits called Javelins. These suits are your lifeline out in the world and play a vital role in your ability to traverse vast areas. In this article, several of our writers will jot down their expectations and fears of Anthem. Expectations: I would be lying if I said I’m not excited about Anthem. The world looks super cool and makes me want to jump in and explore. I have seen some gameplay videos and the combat and movement look really top-notch. Flying through environments looks really fun, and so do the different Javelin abilities. A big thing for me is customization, and Bioware has also seemed to hit the nail on the head when it comes to making your Javelin look unique. I want to make my Javelin stand out from all the rest and it really looks like that may be the case. Fear: My biggest fear is the gameplay loop or the grind. I don’t mind grinding for better weapons to make my character stronger or grinding to get more slick cosmetic items. But my fear is that I run out of stuff to chase too quickly. Now, I’m not saying I want to grind for years for one exotic weapon but I also don’t want to be done in a few weeks. I think if Bioware (and EA, let’s be honest, it’s EA at this point with this stuff) can handle the live service model correctly and produce content over time that is both enjoyable and engaging, then the grind will be in that sweet spot. I am still trying to suppress my excitement for Anthem and really want it to be a great game. Looking forward to the open beta soon, and then we will see. Expectations: I’m a big BioWare fan and the Mass Effect trilogy includes some of my all-time favorite games, so I think it goes without saying that I’m very interested in Anthem. My big hope for the game will be that the devs and writers bring their A-game and give me a world to care about, filled with characters that I can root for. I want a story that fills me with wonder, environments that leave me in awe, and gameplay that will keep me coming back. In short, I want BioWare redeemed. Fears: The Frostbite engine is capable of some pretty stuff, which can sometimes hamper good design. My experience with their last couple of games was filled with buggy missions and gameplay – no joke, the final battle in Dragon Age Inquisition was such a glitchfest – and don’t get me started on Mass Effect Andromeda. In the former, I can forgive them since my time with it was so enjoyable, but with the latter…it all added up to an underwhelming 50+ hours that felt too much like a retread of past glory. I guess my worst fear is it won’t be worth my time. Life’s too short to have another love-hate relationship with a game (hi, Destiny 1 and 2). Expectations: Everything I’ve seen so far from this project is that EA expects this to be a AAA game title, and they are definitely giving it the bells and whistles to be considered one. The graphics look awesome, the sound design seems on point, and the music certainly does its world justice. Being a fan of Bioware for a long time, I’ve personally played Mass Effect seven times, more times than an average player would. The story, characters and overall gameplay were amazing, and that had me hooked from minute one. With the look of this entry from Bioware being similar, I expect that I will be giving it a go, and definitely playing it plenty. Fears: However, with EA behind the wheel, fears of the microtransaction trap creep up. The Battlefield 5 fears also have me on tenterhooks. Microtransactions are a part of the gaming industry now, no one can deny that, but the way EA does it just makes them look like a greedy little kid who wants a little more of everything to satiate its never-ending hunger. Loot boxes, cosmetic changes that look like it can be unlocked from normal gameplay, possible paywalls that could force players to pay in order to pass through it; the list goes on. The Battlefield 5 fears include the fact that EA decided to release the game in its unfinished form, asking for its player base to wait patiently for the rest of their content to release. Will that be a factor in Anthem? Only time will tell. For now, these are the factors that are preventing me from going in hard for the game. Perhaps EA can take a leaf out of the page of Monster Hunter World (MHW) by releasing the game and all its content in its full glory, as glitchless as humanly possible, and let the community just dive in and enjoy it. Even now, the player community in MHW goes strong. Hint hint, EA? It’s EA and BuyerbeWare, so I expect nothing nothing more than a shiny turd. I will do as I did with ME: Andromeda, and wait for it to show up cheap in the bargain bin. Yea EA has me worried. I hope they let BioWare do what they want in regards to design. I hope it’s not designed around heavy monetization in the end. Looking forward to the open beta. Thanks for reading!